Jobu finally acknowledges Orioles slugger, Chris Davis. OK so I’ve definitely slipped on my baseball coverage this season. I’m not gonna lie, it’s harder to cover the Yankees when they stink, especially when they stink with the roster they have this year. That shouldn’t be an excuse, though. I should be covering everything exciting and newsworthy that has been happening this year around the league. 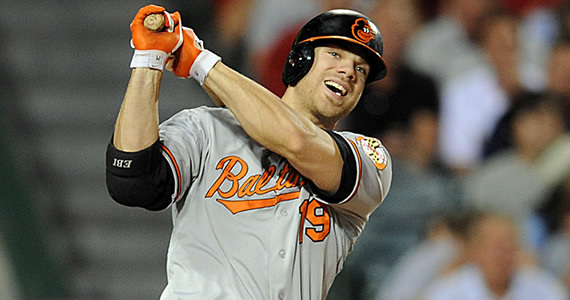 That brings me to today’s subject, Chris Davis. Apologies to him and his incredible 2013 season so far, but I’ve really been ignoring it in the hopes that it goes away. It won’t, so I’m here to acknowledge and appreciate. Let’s face one thing right off the bat. I’m not going to sit here and trumpet how great it is to have a guy put together this kind of season now that the “steroids era” is gone. If you’ve been watching the whole biogenesis case unfurl, you know that the steroids era never went away, it just evolved. That being said, I have not heard Davis’ name linked to any sort of clinic or illegal performance enhancers, and that makes me happy. For now, I gladly give Davis the benefit of the doubt that he’s doing this clean, and anyone who tries to assume or insinuate that he isn’t, is just a hater right now. On Sunday, the last day before the All-Star break, Davis homered and drove in two runs. That gave him 37 homers and 93 RBI for the season. Those numbers are gaudy, but they’re significantly gaudy. Davis became only the fourth player ever, and the second in American League History, to hit 37 homers before the All-Star break. The others to accomplish this were Reggie Jackson (1969 – 37), Mark McGwire (1998 – 37) and Barry Bonds (2001 – 39). As we know, McGwire and Bonds went on to break the single-season home run record in their respective campaigns, albeit by being horrible cheating monsters. Jackson, by the way, ended up in a weird slump where he only hit 13 homers over the next calendar year. I should note, however, that Davis has more games played (95) than any of the other three guys (Bonds – 81, McGwire – 80 and Jackson – 91). Davis’ previous highs in homers and RBI were 33 and 85, both of which were set in what was thought to be his breakout 2012 season. Egg on our faces, eh? With 66 games to go in the season, Davis has already set career highs in both categories. He’s on pace for 62 homers and 157 or so RBI, nearly double his previous highs in both. The craziest thing about his season, for me, isn’t the homers or the RBI, believe it or not. I think the fact that he’s hitting .315 is more ridiculous. It’s not like he’s never hit for average, but he’s certainly not known for it. His career high of .285 came in his 80-game rookie campaign, but his high after that has been .270, which he hit during his fake breakout 2012 year as well. So… the question is this. Assuming he’s clean (which I really am), is this season a fluke, or is he going to be a 40-50 home run guy for the rest of his career? For one thing, the age makes sense. Sometimes guys break out after the hype behind them has disappeared. Davis is 27, an age where most players start hitting their prime. He’s also always had the power, which is what got him to the big leagues with the Rangers as a 22-year old in 2008. I’m certainly not shocked that he’s done what he’s done in the power department (OK 37 at the break is a little absurd). The only problem I see is that he’s still striking out a ton. He has 110 in his 95 games, which puts him on pace for a career high of 186. This does not at all take away from his production numbers, but to me, suggests that he’s still the same all-or-nothing type of hitter. That he’s always been. That, along with his .355 BAbip, slightly higher than his .339 career average, suggests that he’s probably making more solid contact when he hits the ball, but he also might be getting helped out by a little bit of luck. All of that being said, the guy’s still on pace to hit more home runs than Roger Maris did in 1961, so who cares if he’s a little lucky (it’s not even that much of a difference). That brings up the latest Davis argument though… Now that he’s on pace for 62 home runs, should he be recognized as the single-season leader in homers if he achieves that pace? He has said, himself, that he considers the Maris number to be the real record. Many journalists are saying the same thing. I disagree. Like it or not, the “steroids era” was a part of the game. Sure, lots of guys hit lots of enhanced home runs, but who’s to say Bonds or McGwire wouldn’t have done what they did anyway? Also, there were lots of guys juicing, pitchers too. 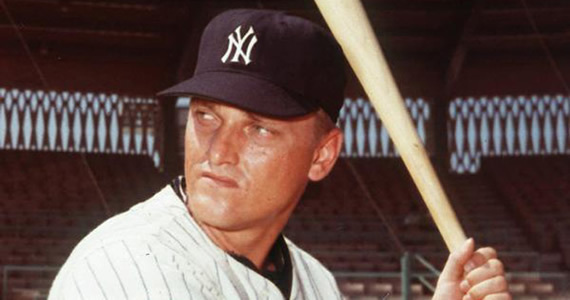 If Davis wants to set his personal goal to the Roger Maris standard, I’m all for it. However, you can’t erase home runs from the record books. Put all the asterisks you want on Bonds and McGwire, they still hit the ball over the fence more than anyone else. Sadly, we can never be too careful anymore. Just because Davis’ name hasn’t come up on any government lists doesn’t mean he’s clean. He might just be smarter than everyone. ARod and Ryan Braun were “clean,” and now both are staring down big-time suspensions for their biogenesis links. Anyone in baseball could be shooting up right now, and we would never know it. I sincerely hope that Davis isn’t one of those guys. I’d like to believe he’s having his true breakout year enhancement free. Unfortunately, you can’t assume these things anymore in this era of the sport. Either way, touché, Chris Davis. You’re having a hell of a year. I look forward to the MVP race with Miguel Cabrera. Adam Evans liked this on Facebook.